In the age before cameras, the skill of illustration--like that of piano playing, good penmanship, and journaling--was frequently the mark of an educated person. Whereas the written word alone can adequately record the details of one's life, enhancing that with illustration adds yet another texture to the story, resulting in works that both intrigue the mind and delight the eye. 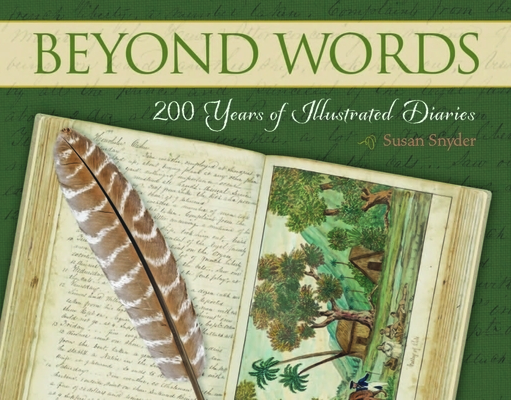 Beyond Words is a collection of excerpts from fifty illustrated diaries spanning two hundred years of adventure and contemplation. From the records of eighteenth-century Spanish explorer Pedro Font to those of a young David Brower first encountering the wilderness, these unfolding stories reveal as much about the times in which they were written as they do the diarists' particular inner worlds. Whether filled with chicken-scratch sketches or gilded illuminations, these diaries have become objets d'art that expand our understanding of the uniquely compelling experiences of their creators--from anonymous writers to luminaries like LeConte and Muir, and from Beat poets to twelve-year-old girls. Beyond Words is a fascinating and intimate collection that will inspire you to pull out pen and paper to capture the fleeting images and experiences of your own life. Published in conjunction with The Bancroft Library. Learn more about author Susan Snyder and diarist Isaac W. Baker on PBS' "History Detectives.